Responsible car owners make sure to do regular maintenance on their vehicle. Sadly, many of them tend to just inspect the upper part of the car. Maintaining the systems below such as fuel lines and CV joints is crucial to keep the car moving properly. One essential type of maintenance that gets overlooked most of the time is checking the pressure of tires. That’s why all car owners must know how to check tire pressure. There is a higher chance of failure or damage if car owners keep using tires that lack air. Under-inflated tires deteriorate fast. Damaged tires will eventually lose control of the car. If that happens suddenly while you are driving, they might explode on the road leading to a horrible crash. For your information, when the car’s tire pressure is lower than the standard level, gas mileage is also affected. For each one pound per square inch (PSI) drop in tire pressure, 0.4% is deducted from the gas mileage. On the other hand, tires with the perfect amount of pressure inside can let you save gas mileage up to 3%. However, that still depends on the overall quality of the car, and your driving habits as well. As long as the tires contain the right amount of pressure leading to gas savings, you will spend less money for fuel. Another benefit from not using the gas pump often has something to do with the environment. You can become a responsible car owner and steward of the earth at the same time. The common factors why tires eventually lose air are extreme temperature shifts, the heavy load inside the car or even outside through towing, long road trips, malfunctioning valve systems, and even the tiniest punctures. Since these factors can happen anytime, it is recommended to check tire pressure every month. Going back to temperature changes, tires are more susceptible to heat than cold. You can discard the once-a-month tire maintenance for a sudden check when hot days start to dominate your area. Before knowing how to check tire pressure, you must encounter the term PSI first and familiarize it. To easily understand PSI, get your owner’s manual and find the page for tires. Specifically, look for details about the front and rear listings of PSI. The manufacturer itself indicated the figures regarding your car’s pound per square inch requirement. 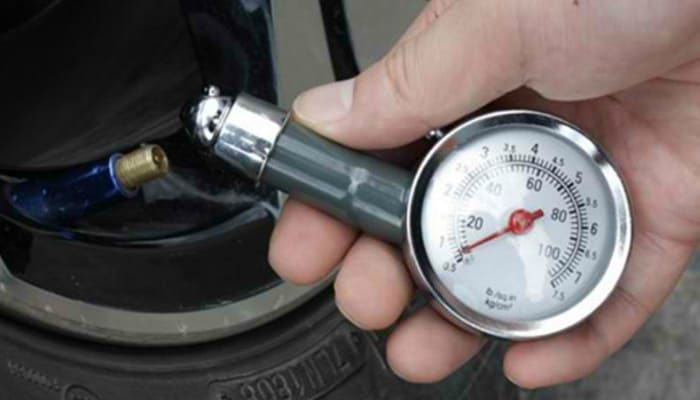 PSI is important so you can identify if the tires are already inflated correctly. In short, always follow the manufacturer’s specific recommendation of tire pressure. The factors for PSI are the recommended size for the tires and the car’s towing weight capacity, as well as its total size and weight. You just need a reliable tire pressure gauge and the owner’s manual as a reference for the PSI requirements. The gauge can be digital and battery-operated. You can also use the older version which is the stick-type. Luckily, tire pressure gauges are affordable in stores. Buying one is a wise investment. After all, regular maintenance leads to more durable tires. First, take off the end caps found on the air valves. Make sure that nothing will be lost after the whole tire inspection. Put the gauge inside the valve stem. Press for a second to receive a reading. Take note of the figure from the gauge. Then, compare it to the recommended PSI from the manual. If the figure is more than the recommended PSI, push the valve in to release some air. If the opposite happens, fill some air inside the tire. Use the gauge again to check. As soon as the reading is exactly the same as the number indicated in the manual, you are good to go. Be patient when you always get the figures wrong. Just focus and follow the solutions for each mistake. Brace yourself when you put the gauge in the valve. This is probably the trickiest part. You can easily get the wrong reading just because of one small mistake. To be sure, make multiple readings and compare how similar the figures are. 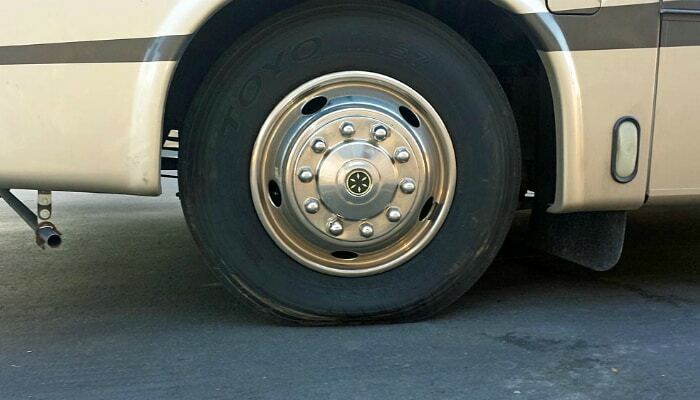 If the tires are properly maintained, it can be alarming if an air leak becomes non-stop. That is a sign for you to let a mechanic inspect the tires. One possible reason is a damaged valve. The worst thing that can happen after a professional inspection is the mechanic telling you to replace the whole tire. This is more possible if you do not have regular tire maintenance. All car owners must know how to check tire pressure in order to save money, support the environment, prevent accidents and keep the tires intact for longer use. We must inspect tires often, preferably once a month, because the reasons for air leak are too common such as changing temperature and undetected punctures. Make sure to keep tire pressure exactly the same as the figure found in the owner’s manual. 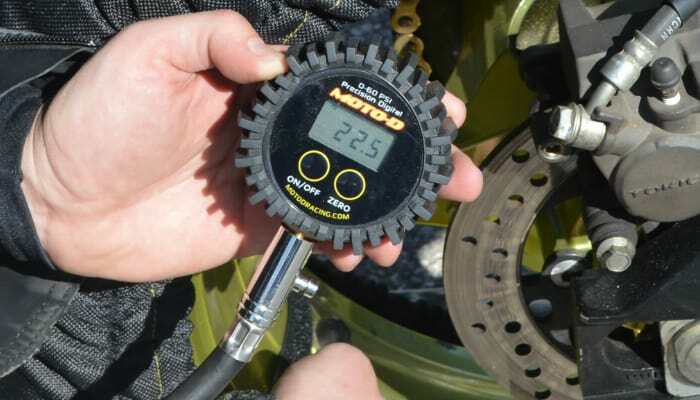 Checking tire pressure only takes a few minutes and a simple gauge tool. Just be ready for small mistakes due to tricky processes. To prove the significance of regular maintenance, know the reasons why a steering wheel clicks while turning. Not only that, a squealing car whenever it turns also has a deeper problem. When you realize how small problems can affect other systems of the car, you will definitely take care of your car even more. On the other note, in choosing a quality tire, you may check out our take on the best all-season tire.